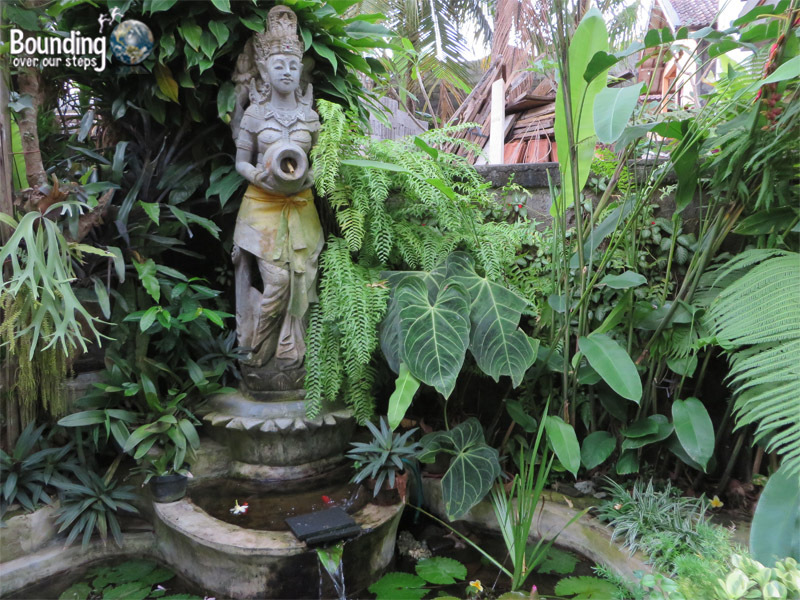 One of the highlights of spending some time in Ubud, Bali was ringing in the year 1936. We discovered that celebrating the Balinese New Year was unlike every other New Year’s celebration that we had ever experienced. It included a combination of music and dance performance, scary monsters, bonfires and silent introspective meditation. 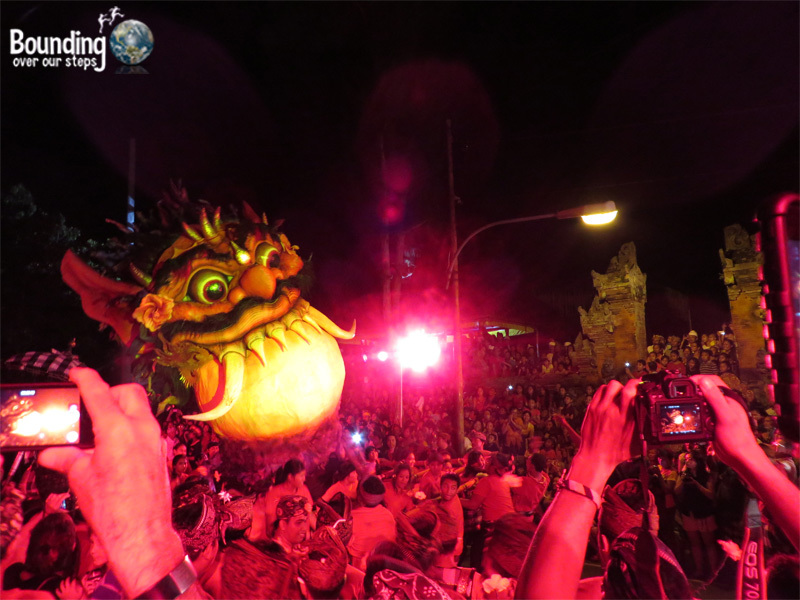 This very unique way of beginning a new year happened in two parts: ogoh-ogoh and Nyepi. 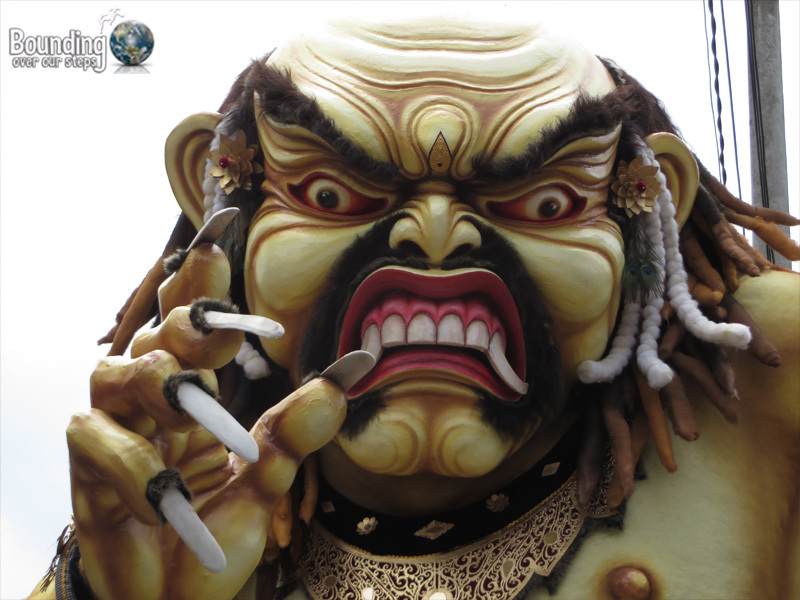 Grotesque ogoh-ogoh statues ready to scare away evil spirits. The build up to New Year’s eve lasted several weeks as the local children of all ages worked on building their ogoh-ogoh. We saw these monstrous beings transform from basic headless big-bellied Papier Mâché sculptures into the elaborate colorfully painted scary beasts, which invaded the dark streets of New Year’s eve. 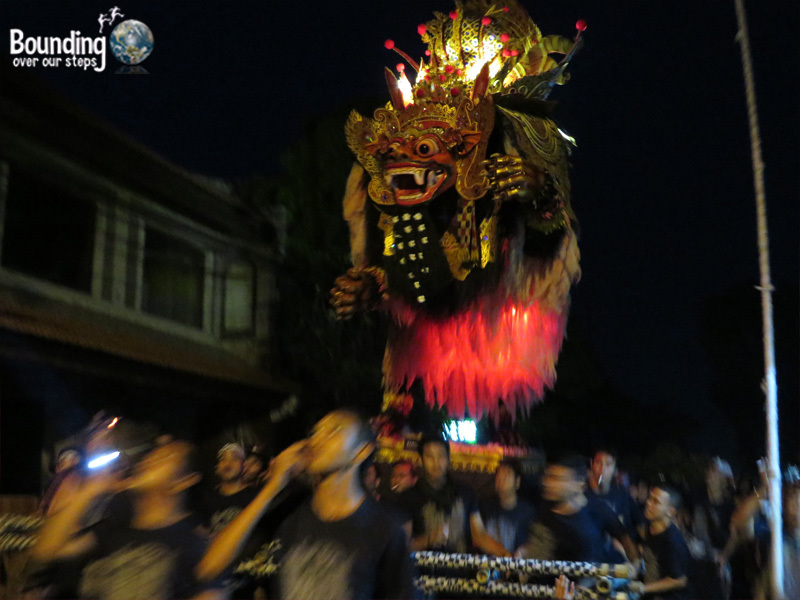 Parading through the streets of Ubud with their ogoh-ogoh. An ogoh-ogoh preparing for battle. 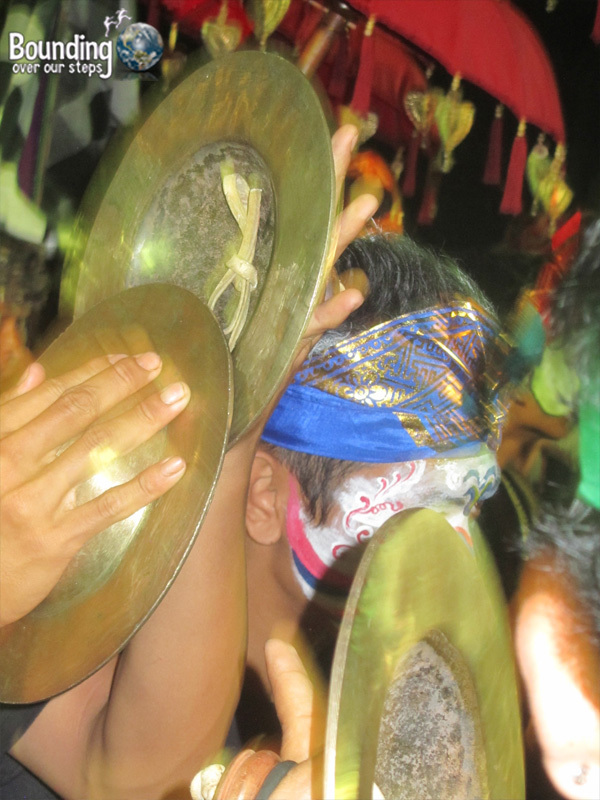 These demons, which are purposefully created to scare any and all lurking evil spirits, are accompanied by loud gamelan music. We must admit that we were rather frightened as well seeing them charge down a dimly-lit street with cymbals banging and people yelling. Loud, upbeat gamelan music echoed through the streets. Being the loudest you can be is the idea all night until 6am when it is mandatory that you return to your home or guesthouse to begin Nyepi. The ogoh-ogoh are ceremoniously burned at the end of the night. Not something you generally want to meet in a dark alley. The first day of the new year is called Nyepi and in contrast to the night before is spent in silence. The entire island of Bali shuts down, even the airport. Guards roam the streets to ensure that everyone stays indoors for 24 hours. On this day you may not cook or light a fire for any reason, you may not consume alcohol or engage in intimate relations and you may not work, enjoy any entertainment such as TV or turn on any lights, even at night. Instead, you are expected to stay quiet by relaxing, reading a book or meditating. In short, it is down time and having been on the road for several weeks we welcomed the forced day of quiet. 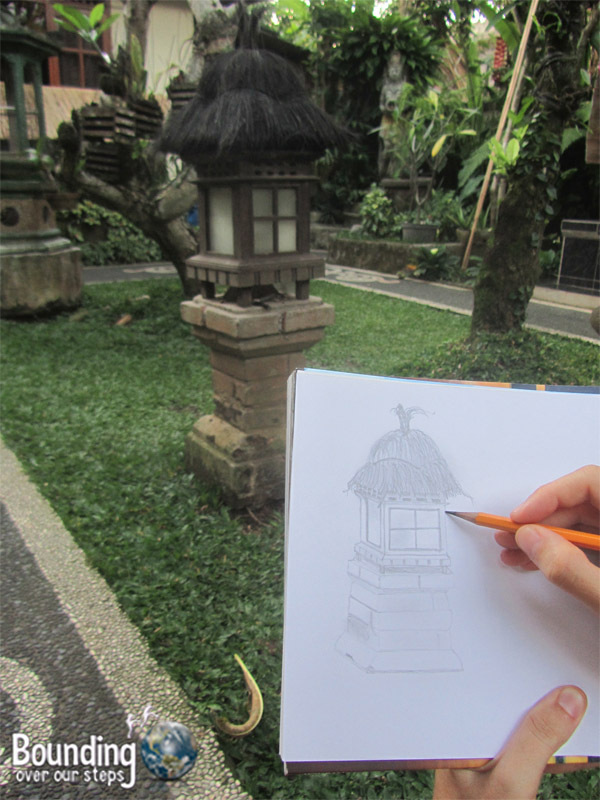 We took full advantage of Nyepi by taking a nap, sketching and writing. Truth be told, we could have used a second Nyepi day…maybe even a third. What is the most interesting way you’ve celebrated New Year’s? I love this. At first, I didn’t know what I would do with an entire day of not keeping myself busy, but I love the idea of napping, writing, sketching, etc. It sounds so peaceful! You two had such a cool experience! For me it was Banos, Ecuador. I wrote a post about the experience, it was really magical!